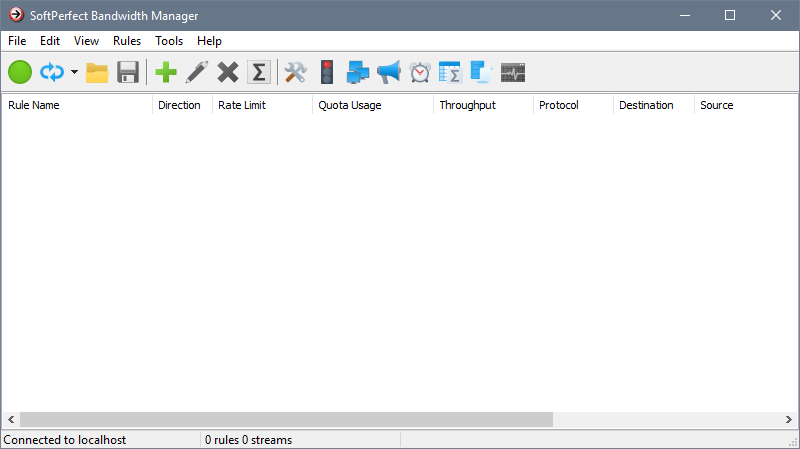 The SoftPerfect Bandwidth Manager software consists of two components: a Bandwidth Control Service that processes network traffic and enforces bandwidth restrictions, and a Management Console used for configuration and monitoring. 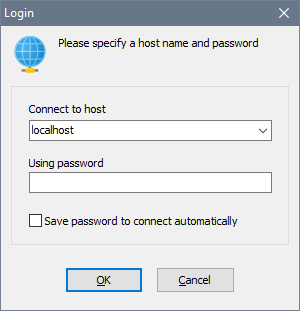 When you launch the Management Console it asks you to enter the name of the host where the Bandwidth Control Service is running and a password. By default, the host name is localhost and the password is blank. If you have installed the service on another computer, enter its IP address or name to access it. If you are getting the error messages like Connection Refused or Connection Timeout, it was most likely blocked by a firewall. In this case, you need to set it up to let the Bandwidth Manager connection through (TCP port 8701).